The color of the sky and water, a symbol of airiness, serenity, tenderness and lightness. 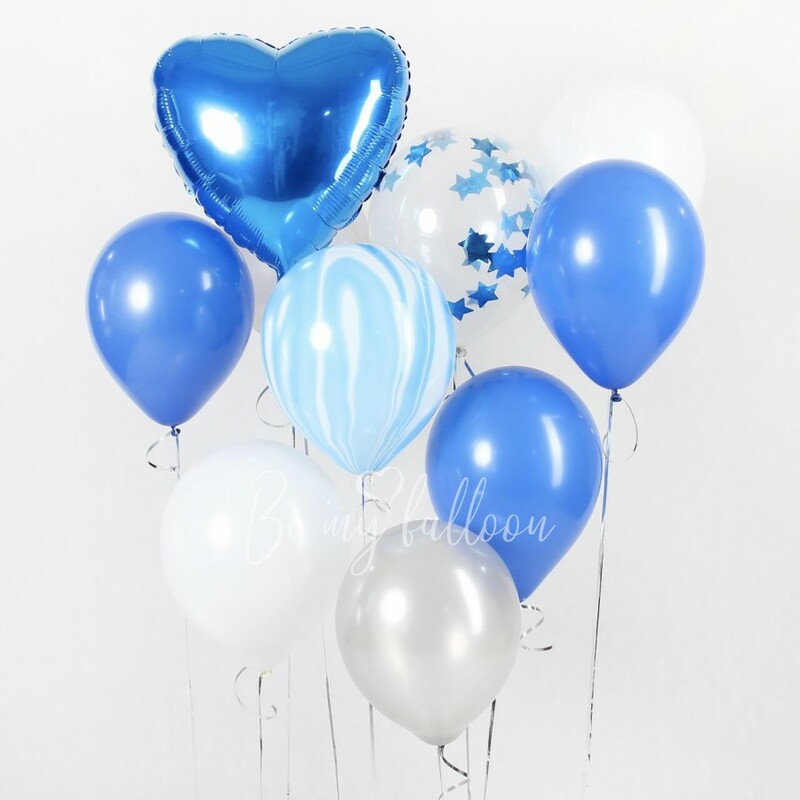 A cloud of balloons of blue shades will suit, for example, as a gift for a new baby, or as a gift fot the graduating from the kindergarten or school. As a symbol of the beginning of a new life. In those moments when the soul needs ease and freedom. The set includes: - 1 foil heart 18" - 1 latex balloon with confetti 11" - 1 marble balloon 11" - 5 latex balloons 11"